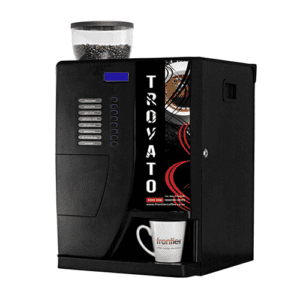 Our range of coffee machines includes the Golden Milano fully automatic bean to cup machine. 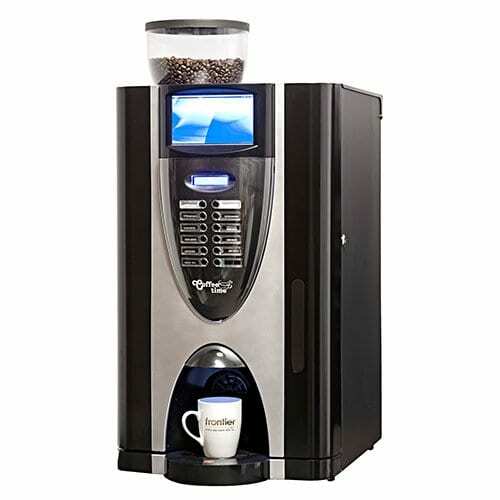 This coffee machine is perfect for that quality coffee shop quality cup of coffee that we all look for. Using espresso beans, it can prepare a variety of hot beverages. 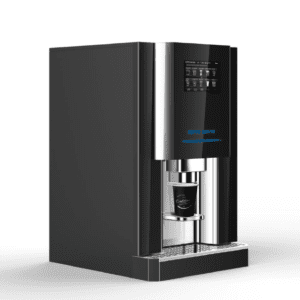 Perfect for offices, factories and showrooms where quality drinks are needed at the push of a button. Fully automatic machine with 12 programmable drinks. Sugar pre-selection (we can set to no sugar/sugar/extra sugar). 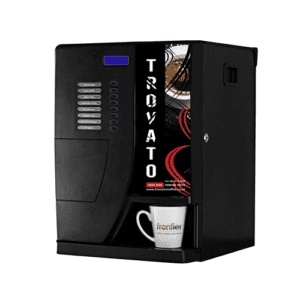 Espresso, black and white coffee, cappuccino, decaffeinated instant coffee, hot chocolate, moccachino, latte, choccochino, hot water and hot water with milk. We can programme the coffee machine’s drink strength to your taste. Canisters include coffee beans, milk powder, instant coffee, sugar, hot chocolate (double). 2 kg bean capacity and large LCD screen!